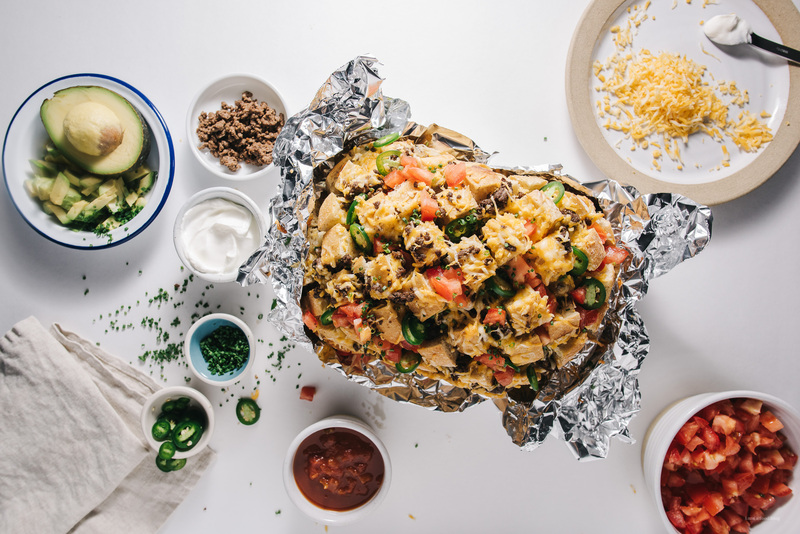 I’m not the biggest football fan, but if you invite me over to watch some football, I’ll be there, quick as a flash, because I LOVE Super Bowl food. It’s so funny to me that Super Bowl food is a category in itself. But, now that I think about it, I guess it’s just bar food in a home setting, which sounds pretty amazing. Because, um, bar food in your pjs/comfy home clothes sounds like the best thing ever. Actually, do you guys ever feel gross if you hang out in your comfy home clothes all day? Sometimes I feel like, ugh, I didn’t actually get dressed and wasn’t a productive member of society today and sometimes I feel like, YES! I’m winning at life. It’s a constant struggle, the debate on home clothes and real clothes. With the end of winter just dragging on, I feel like lounge clothes have been winning the battle. And to be honest, lately I’ve been feeling like that cat meme, but instead of cheezburgers, I’m all like, I can haz bread? Lots of Super Bowl eats, including this bread and maybe these chicken strips? A win for your team! PS – If the Superbowl = wings, check out these wing recipes for some wingspiration: oven-fried Thai wings, sriracha buffalo hot wings, oven-fried hot wings, buttermilk fried chicken wings, honey garlic soy wings. I used shredded cheese for this, but looking back, I definitely think sliced cheese is the way to go – it would be a lot easier to slip slices of cheese in between the cubed bread. Speaking of bread, I used a ciabatta pillow because it’s lower profile (compared to a sourdough boule) made it easier to stuff things. Make sure you really get down in there and put the stuffing in every crevice. There’s nothing sadder than an unadorned piece of pull apart bread. Preheat the oven to 375°F. Take your loaf, and slice it, making 1 inch diagonal cuts in one direction, being sure not to cut through the bottom of the loaf. Rotate, and slice in the other direction. 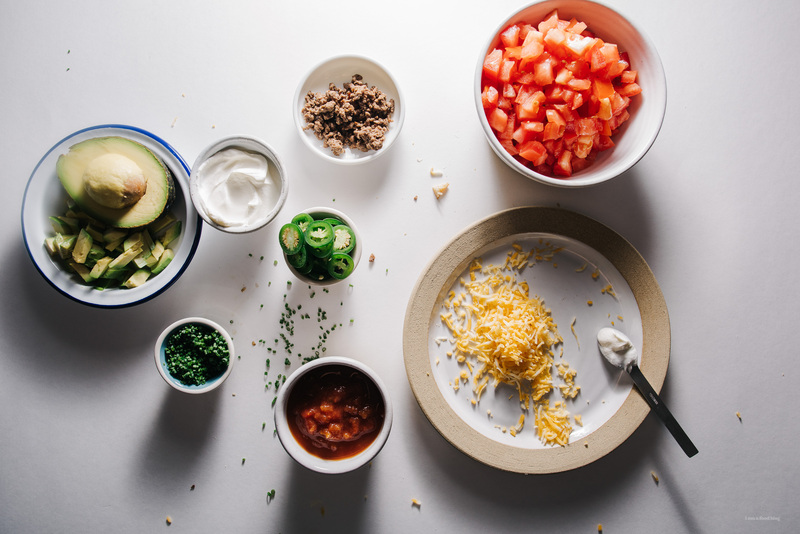 Stuff the cuts with taco meat and cheese, making sure to try to reach all the way down to the bottom of the loaf. 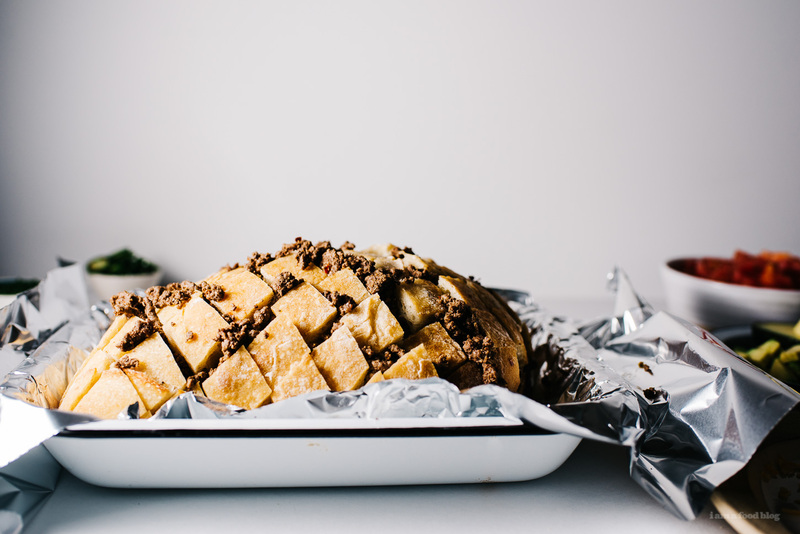 Wrap the loaf up in foil and bake for 10 minutes. Unwrap and bake until all the cheese is golden, melty and delicious, another 10 minutes or so. Notes: Sometimes I just have cooked ground taco meat in the fridge, just because it’s needed for Perfect Microwave Nachos. I usually fry up one pound of lean ground beef and mix it with 1 teaspoon chili powder, 1 teaspoon cumin, 1/4 teaspoon garlic powder, 1/8 teaspoon cayenne pepper and crushed red peppers, and salt and pepper to taste. 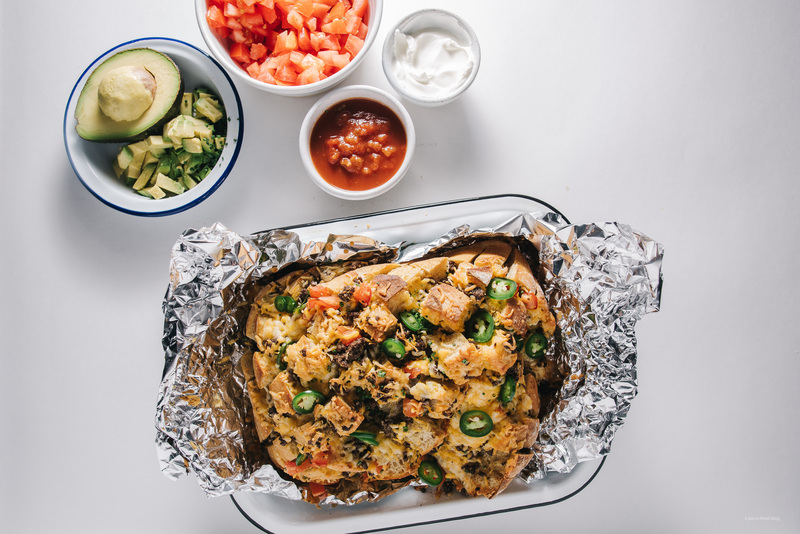 When you feel like nachos, but the tortilla chips aren’t enough, I give you: Taco Pull Apart Bread. This cheesy delicious carb-full monstrosity is so easy to make that it’s a little scary. 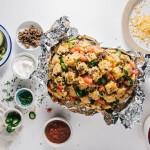 Essentially it’s all my favorite nacho ingredients stuffed into bread, kind of like, someone said, “I feel like nachos, but the tortilla chips, they’re not hefty enough.” So, if you like bread and nachos and wish they had a baby, this one’s for you. Lovely idea to make a boring meal such as the bread a lovely looking dish! Okay, so, I’m in the same leggings and baggy t-shirt that I’ve been wearing for two days. That being said, Yeah, dude, I feel gross. But I also feel awesome. But also awesome/ gross. Hahaha. I’m totally making this. 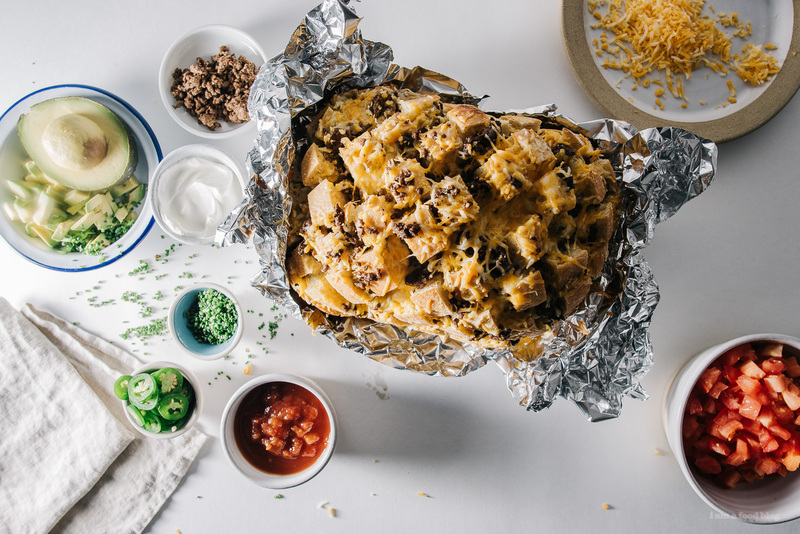 This looks like the ultimate Superbowl food. Cheese. Bread. Guacamole. I want all of this! For the win for sure! This recipe is genius! Thanks helping to plan our super bowl menu! This is total genius! I always wished tacos were fluffier and puffier. Oh my god, I really need to make this. I love pull apart bread and tacos! This is the perfect food, I can’t even look at it, makes me so hungry. Adding this to my “Things to Cook When No One Else Is Around to Judge” list.